New Photos of Mars or Earth? We are still seeing plenty of very interesting photos of the Martian surface from NASA catalogs. Keep in mind that these images are coming from government websites that have been placed in the public domain because the probes sitting on Mars and other celestial bodies are funded by US taxpayers. Many of the photos show signs of intelligent life and the presence of artificially constructed buildings. Are these pictures really of Mars or a desert location on Earth? I really believe that what we are witnessing today from the mainstream media is nothing more than a strategic and very concerted effort to intentionally obfuscate an important image of our world. This image, if viewed without distortion, would undoubtedly make it easier for the vast majority of people to make sense of what’s currently taking place in different countries. As a child I used to solve connect the dots puzzles frequently. I am certain most readers can remember doing similar activities. The puzzles, for very young children, had fewer dots and many lines already filled in. With regards to the simple ones, it was pretty apparent from the onset what image was going to be revealed when the puzzle was completed. Some of the more advanced puzzles, for older students, were not so easy to figure out. These exercises featured pages of dots scattered about everywhere and had fewer lines already filled in. It was nearly impossible to visualize what the final image would be. Many of the stories that are reported on by the mainstream news companies have a hidden objective to dis-inform people about what’s taking place domestically as well as abroad. There are thousands of stories being thrown around each month for the public to chew on. Many of the bigger stories are directly and intimately connected, but they’re not presented by the media in a way that allows viewers to see that the content is related. Headline stories are often reported so that they appear to be non-related. The powers that be don’t want you to connect the dots. The human brain is wired so that it focuses on patterns. The mainstream media companies are doing their best to make sure that our brains cannot home in on said patterns that would reveal what is really happening on a bigger and more worldly scale. The intended objective of the mainstream media, that is owned and operated by the Deep State/Illuminati, is to create confusion and misunderstanding about global events. They want people to become so unsure about what’s happening in the world that they throw their arms in the air and give up on trying to solve the puzzle. At NoFakeNews we have attempted to help readers fill in some of the lines and connect the dots to this very gigantic puzzle. By doing so we hope that over the past 5 years we have produced a clearer image of what’s currently transpiring in the world for everyone. Flores: Why do you think it’s important to cover the various subjects you write about on the blog? Reizer: I think what we’re doing here is important because of the fact that many of the subjects you and I are writing about are not being covered by the mainstream media companies. If it weren’t for the alternative media, many of the things taking place in the world would never see the light of day. People would be completely in the dark with regards to many of the machinations currently being orchestrated by the powers that be. Flores: You have never made a single dollar from your blog. There is zero advertising and you don’t endorse specific products. What is your motivation, if not money, for doing all of this work? Reizer: You are correct when you write that I am not in this for financial gain. 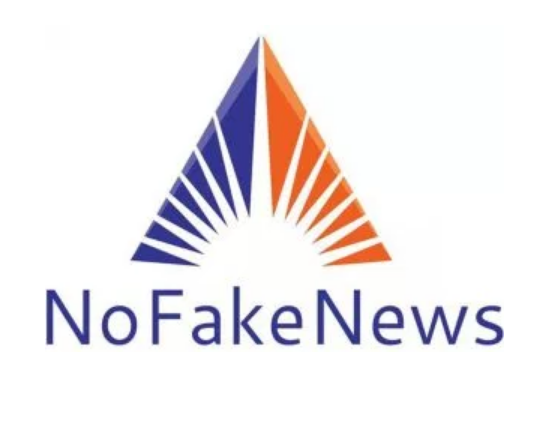 NoFakeNews has never been monetized because I wanted to be free from being influenced by anyone. I never wanted to write content that was designed to support a particular cause or premise based on a particular product or service. My agenda is to produce written content that offers the public what the fake mainstream media networks, that are owned and operated by a few giant multinational corporations, refuse to offer. NoFakeNews is all about giving the public a window to view the truth. I am fortunate to be in a position where I earn a living from other avenues that are far removed from the work I have been doing here. Flores: In your opinion, what were the biggest and most important stories of 2016? Reizer: I believe there were many important stories in 2016. If I had to narrow it down to one or two topics, I’d have to say that the email scandal of Hillary Clinton and the presidential election of Donald Trump top my list. These two stories were an ongoing soap opera for most of the year and they led to the dismantling of the mainstream media’s credibility in the eyes of many people in the United States. I believe the election of Donald Trump gives Americans and people all over the world an opportunity to have real hope that things might actually get better in the future. Don’t get me wrong, I am not a cockeyed optimist who believes Donald Trump is going to make things completely better in four years. But I do believe he will try to “drain the swamp” with regards to the corruption taking place in Washington. The problem he and his team face is that there are presently so many elected officials in the American government that are agents of the Illuminati. He will have a tough battle ahead of him, but I do believe he is the best person out there to contend with the challenges that are inherent within the construct of US politics. We have to give him a chance and we have to understand that he has inherited an unbelievable mess that has been intentionally created by past administrations that were nothing more than puppets of their Illuminati masters. Flores: What’s a really big subject that has been suppressed by the powers that be in 2016, and that is vitally important to all Americans? Reizer: I would say the cover-up of the radiation poisoning in the Pacific Ocean due to the Fukushima Daiichi nuclear disaster is the subject that sticks out in my mind. I have read information claiming one-third of the world’s oceans have been poisoned because of this accident and there is virtually nothing being reported about the dire situation in the mainstream news. Flores: What’s happening in mainstream medicine? Reizer: Our healthcare system was hijacked long ago by the powers that be. Modern medicine is completely controlled by multinational pharmaceutical companies that have no desire whatsoever to eradicate diseases that are currently challenging the construct of human physiology. The goals currently in place and being realized by modern medicine are leading to newer diseases and newer drugs. The pharmaceuticals being created are being developed to manage those diseases indefinitely. Much of this information is hard to swallow, but the truth often is because we have not been exposed to much in the way of truthful information. Flores: Do you believe that the major governments in the world are working in concert with one or more extraterrestrial civilizations? Reizer: I believe the major governments of the world are being strategically managed by one or more extraterrestrial species that have been on our planet for a very long time. This type of information is so difficult to comprehend for the vast majority of people around the world. What we have been taught and conditioned to believe by the powers that be from the time we are young children until our present age is so far removed from actual reality that most of us would never recognize the true nature of things when they’re presented. Most people have a difficult time believing that the mainstream news lies to the public. How would the same people be capable of handling the truth about the existence of off-world civilizations interacting with and influencing what’s currently transpiring in our daily lives? Flores: I know what your answer will be, but I have to ask you for the interview the following question: Is Michael Morris real or fiction? Reizer: I believe he is real and has been with me for most of my life. Flores: Will you continue to publish your blog, NoFakeNews in 2017? Reizer: Right now the plan is to continue writing and publishing content for readers through 2017. On Monday, December 19, 2016 the Electoral College will elect Donald Trump as the 45th president of the United States. President-Elect Trump secured the presidency on election day by capturing 306 electoral votes. The voting process that will take place on Monday is a formality that will make the biggest upset in political history official. Despite a plethora of fake news polls provided by the American mainstream news corporations that gave Mr. Trump no chance to win the presidency, the former Republican Nominee won the 2016 election by an electoral landslide. President-Elect Trump takes the oath of office and will be sworn in as President of the United States on January 20th, 2017.